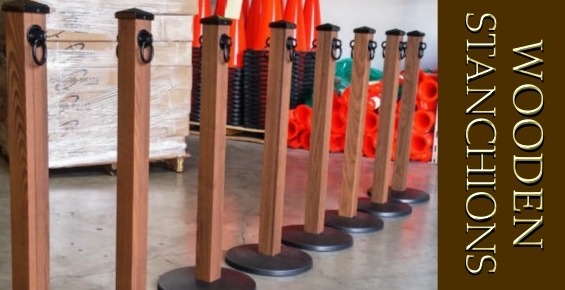 Stanchion Masters offers coast to coast sales of multiple name brand retractable stanchions, post and rope stanchions, wooden stanchions, plastic stanchions and crowd control barriers for the organization and safety of people and directing pedestrian traffic at your establishment or event. Our experience in stanchion rentals has allowed us to test various brands and models of retractable stanchions, post and rope style and plastic stanchions. We have weeded out the cheap, lowest quality stanchions and refuse to sell them. 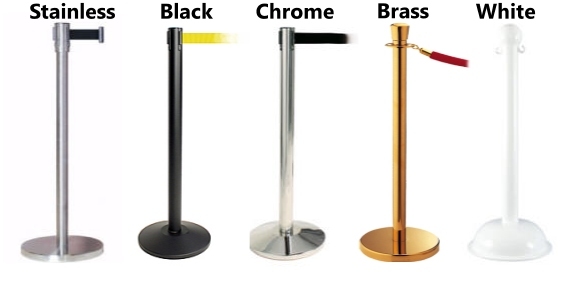 We do offer affordable stanchions but not junk. 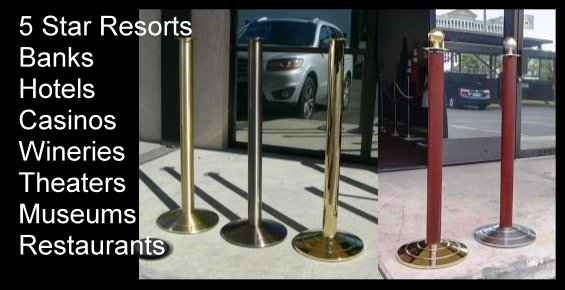 We also offer medium duty, heavy duty and high end stanchions for upscale hotels and VIP events. Stanchion Masters is a dealer of Tensabarrier, Queue Solutions, Visiontron Retractabelt, Lavi Beltrac, VIP Crowd Control, Glaro and other crowd control manufacturers products and equipment. You will soon be able to see the quality and durability of Stanchion Masters American Made rope stanchions. Unique and custom appearance, very long lasting durable construction, quality materials and finishes topped off with great customer service. We already manufacture very durable wood stanchions designed for outdoor use in most climates. 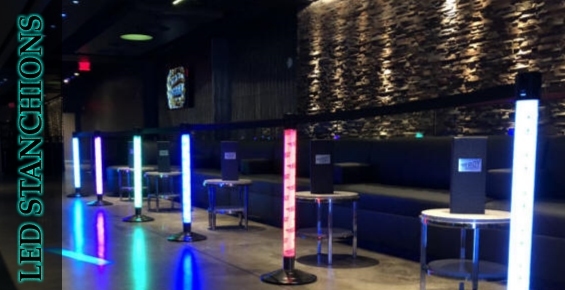 Located in Las Vegas, we are an affordable crowd control equipment supplier delivering stanchions to Los Angeles, New York City and all points in between. We keep our overhead costs low so our prices are low and our shipping is fast. We sell to individuals, rental companies, hotels, commercial and industrial businesses, churches and schools. Car show enthusiast love us! Who ever thought stanchions for sale could be so hard to find when you see them everywhere!?! 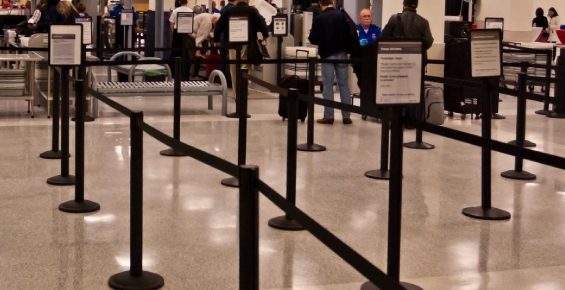 Banks, airports, event venues, retail stores, schools, government buildings… Have you ever entered the search phrase “stanchions near me“? 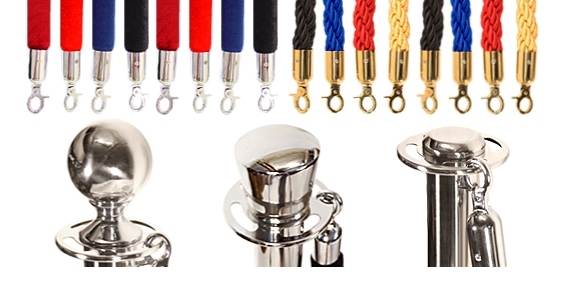 The selection of retractable stanchions and post and rope stanchions for sale in your area may be very limited. No need to worry! 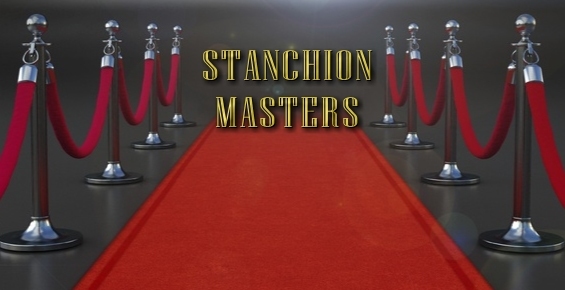 Stanchion Masters ships everywhere in the USA and to many locations in Canada. We can supply your store or retail business with the line barriers, stanchions and barricades needed to provide a safe shopping and working atmosphere for your customers and employees. Please review these OSHA guidelines before contacting us.